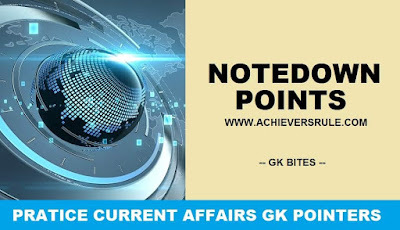 The present One Liner GK Current Affairs: 28th May 2018 has all the vital and Latest News Headlines clarified in single sentences which are critical for the forthcoming Competitive Examinations like IBPS PO, IBPS CLERK, SSC CGL, SSC CHSL and Railway. We have likewise incorporated a portion of the GK Pointers toward the finish of the article in Static GK and Note Down Points. We trust competitors will discover this extremely exceptionally accommodating in their arrangement. The India Meteorological Department (IMD) has teamed up with state-run Bharat Sanchar Nigam Limited (BSNL) to send extreme weather warnings (alerts) to people.